Gulf Industry Fair, beginning this month in Bahrain, has received strong endorsement from the Bahrain Petroleum Company (Bapco), which formally renewed its sponsorship. Majaal Warehouse Company, a leading developer and operator of industrial facilities in Bahrain, reaffirmed its participation in the event as the Industrial Facilities sponsor. One of the region’s leading cable manufacturers, Ducab, also announced it will showcase its products at the Northern Gulf’s pivotal event for manufacturing and logistics that takes place at the Bahrain International Exhibition and Convention Centre from February 9 to 11 under the patronage of HRH Prince Khalifa bin Salman Al Khalifa, the Prime Minister of Bahrain. Bapco will champion the trade fair’s energy and environmental protection sector at a time when the region is going through strong economic pressures following a radical drop in oil prices and a readjustment being made by the wider industrial sector to stay competitive. However, several key projects, including ones in infrastructure, will continue in the region giving suppliers a shot at contracts and subcontracts. While the company’s commitment will see it being present as an exhibitor, it will also be a supporter of a programme of public engagements that will take place around the exhibition. Bapco will lead a workshop on procurement and marketing relating to new projects initiated by the company and National Oil and Gas Authority (Noga) of Bahrain. Additionally it will provide a keynote speaker for the Innovations for Industry Forum on February 10. “We are excited for the opportunities that Gulf Industry Fair provides in promoting the development of Bapco that are in line with Noga’s strategy for the energy sector in Bahrain,” commented Dr Bartlett. “Bapco’s support for Gulf Industry Fair along with Noga is significant, with both pillars playing a major role in the national economy,” said event organiser Hilal Conferences and Exhibitions’ managing director Jubran Abdulrahman. “Gulf Industry Fair remains a unique one-stop event promoting the suppliers and developers of industrialisation of economies across the GCC,” added Abdulrahman. At the Innovations in Industry forum, held under the patronage of Bahrain’s Minister of Industry, Commerce and Tourism Zayed R Al Zayani, speakers will be Dr Halim Hamid Redhwi, CEO, Dhahran Techno Valley Company, whose topic is Incubating Innovations in Industry; Frank Pollman, CEO, Taha International, who will speak on Eco-Industrial Development – From Waste to Fertliser, and Ahmed Hussain, managing director, Reload, who will discuss Innovations in Industrial Cyber Security. The forum will feature the biennial iTECH Awards 2016. Bapco will also be supporting Industrial Careers Day on February 11 along with Noga and Alba, to encourage and inform future generations looking for career paths in industrial companies. The programme of events for GIF 2016 is available at www.gulfindustryfair.com. At the Industrial Careers Day seminar, graduates will get to know what it is to work in companies such as Bapco, Alba, Asry and Majaal. Institutions confirming their attendance are Ahlia University, Royal University for Women and Gulf University. 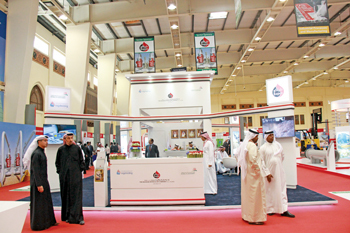 “Gulf Industry Fair’s aims are consistent with our vision to stimulate Bahrain’s industrial growth. We see Majaal as a catalyst for new development and innovation within the warehousing sector,” said Amin Al Arrayed, Majaal’s managing director. “We are not just providing space, we have been approached by multi-nationals looking for solutions as well as land owners who are interested in our business model,” he added. Majaal will be participating for the seventh time in a row. 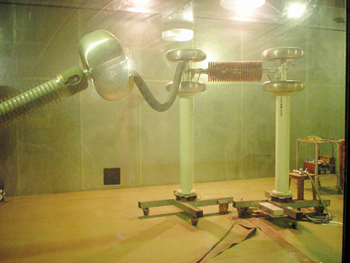 Cable manufacturer Ducab will be featuring products designed for the oil, gas and petrochemical sectors such as PetroBICC, flexible rubber cables RuBICC and the company’s famous certified cable range designed to service nuclear power plants, NuBICC. “Our aim at Gulf Industry Fair 2016 is to demonstrate the capabilities of our products as well as spearheading current and future projects for innovating the cables sector,” said Ulhas Menon, sales manager of Ducab’s branch in Bahrain. Ducab is a joint venture company owned by the Investment Corporation of Dubai and the Senaat of Abu Dhabi. “Ducab has a well-deserved reputation for being the Middle East’s No.1 producer and supplier of cable solutions. Their presence provides visitors the dedicated industrial showcase of world-class products made in the GCC,” commented Abdulrahman. As well as Ducab, UAE companies that confirmed their presence at the fair are Middle East Specialised Cables (MESC) and Palletco. Al Rushaid, Tiseng Group, Sandwich Panel Factory, Saudi Gulf Hydraulics Co and Alaa Industry. Also confirming participation is Germany’s Knuth Machine Tools. The US embassy in Bahrain has announced it will be in the line-up. Christian De Luigi, economic and commercial officer of the embassy, remarked: “These opportunities are interesting for USA companies. The Polish Embassy will also be present with the aim of attracting the local market to Polish companies They will bring four companies to the market for the first time. Bahrain-based companies exhibiting at Gulf Industry Fair include Bin Hindi, Midal Cables, Grip Machinery, Alpha Fire Services, Ameeri Industries, Uneeco, Metals of Bahrain, UNNECO, Balexco, Arabian International Mechanical Contracting, Adams Offshore and Tebodin Middle East. The list also includes the following names: Dhiya & Thomas Consultancy, BRC Weldmesh, Al Sharif International Freight Services, Gulf Markets International WLL, Inter Care, Conpeed – Industrial Consultants, Taha International Corporation, Box Makers and Global Industrial Resources to name a few.